Our best selling theme just got better. 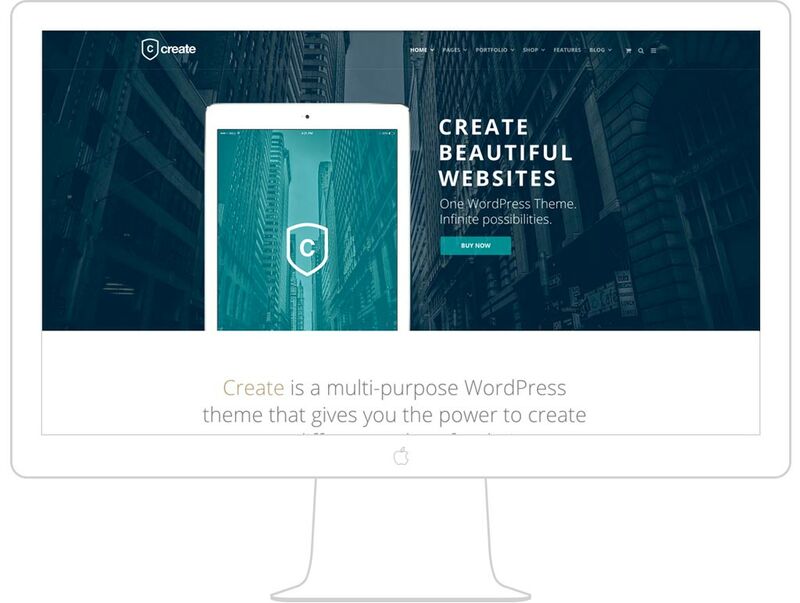 We're very thankful to the thousands of customers who have made Create our best selling theme. Our goal is to continually make it better by adding new features and improving existing ones. 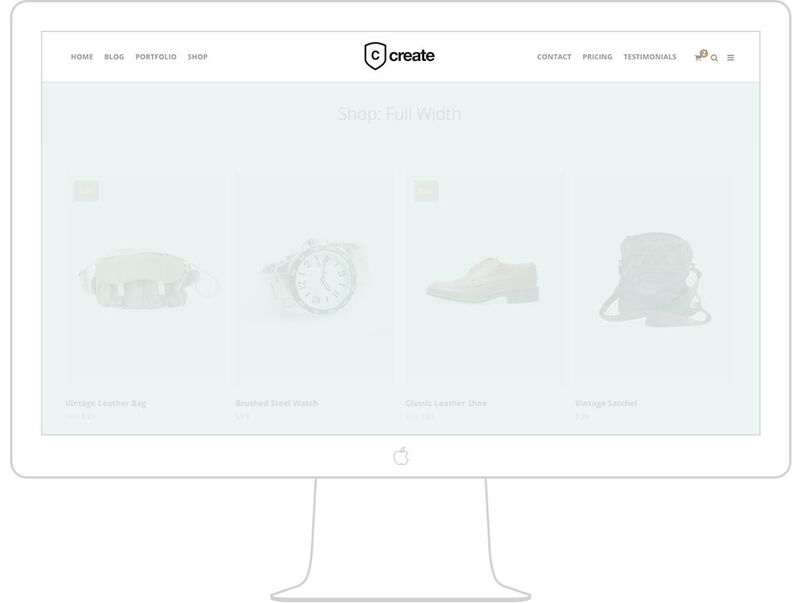 So take a look at what's new in Create 2.0. Brand new demo home pages ready to be imported. Quickly create a beautiful layout for your website. You can now set CSS animations on individual Page Builder widgets. We've added a new tab to the row editor so you can easily add background videos. We've added an animated progress bar widget and an accordion widget. You now have to latest and greatest version of the Slider Revolution plugin. Hover over portfolio project thumbnails for a 3D effect that jumps off the page. 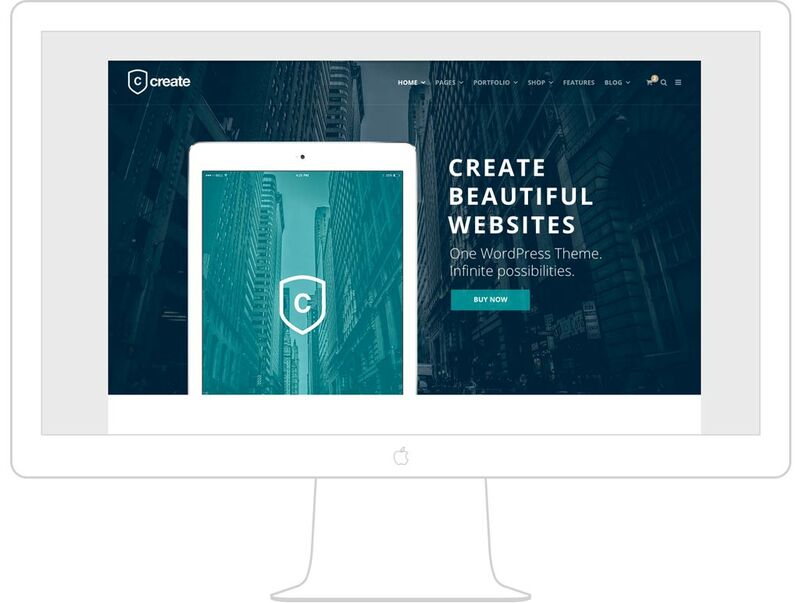 Create has all the features you need to build a beautiful and engaging website. Create comes with several font based icon libraries for you to choose from. Customize the size and color. They'll look great on any display. Easily create sections that have a parallax background using the Page Builder. Upload your image and select "Parallax" from the drop down. It's that easy! Need a shop? 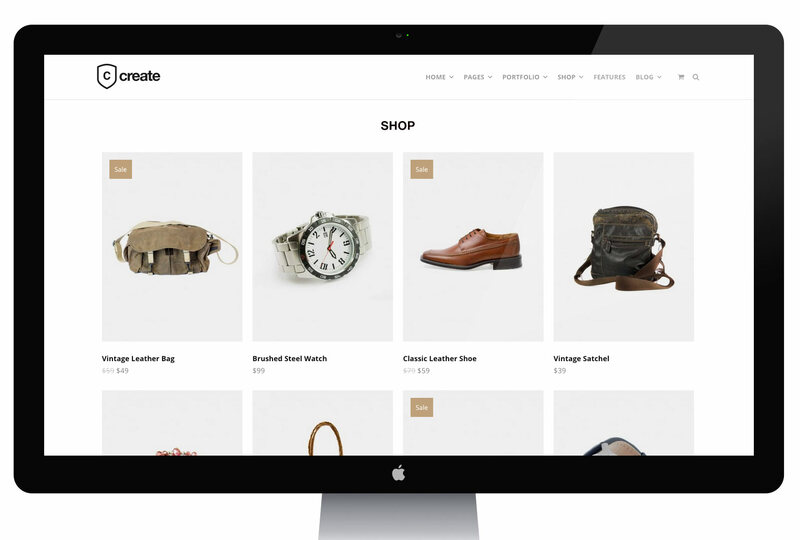 Create has seamless Woocommerce support built-in for easy online store setup. Full compatibility with the awesome WPForms plugin is baked right in to Create. 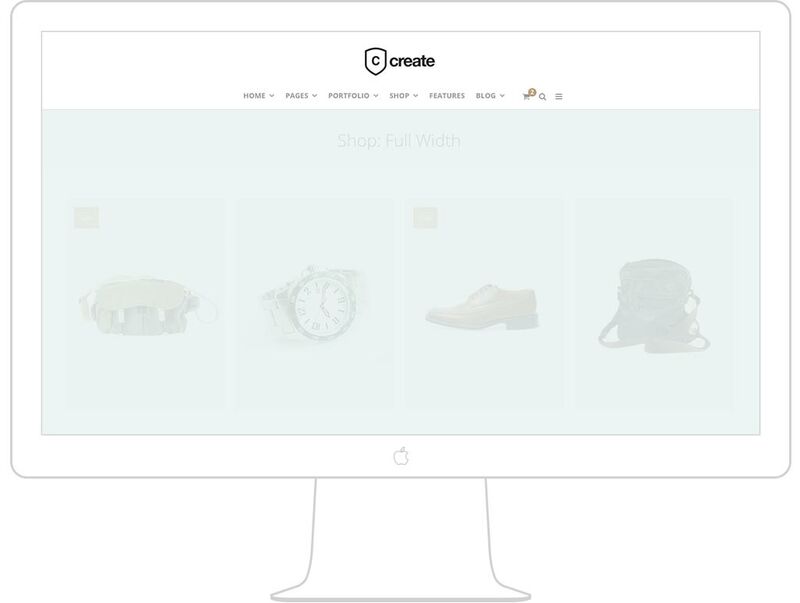 Create allows you to set a number of options on individual pages, posts, and projects. You can do things like disable the header and footer, or even set a custom menu...and much more. Create comes bundled with Page Builder by SiteOrigin. You no longer have to be limited by page templates. Simply drag and drop your way to your own custom layouts. Create comes with custom Page Builder widgets built-in. So you can place portfolios, testimonials, blog posts, and more, essentially anywhere you want. Create comes bundled with the awesome Slider Revolution plugin (worth $19) for FREE! This plugin provides you with an intuitive UI that makes it super easy to create amazing slideshows and place them virtually anywhere on any page. Use a full width or boxed layout for your main site container. Select from three different main header layouts, and combine that with color options and various menu types for maximum flexibility when creating multiple websites. Want to sell your products online? 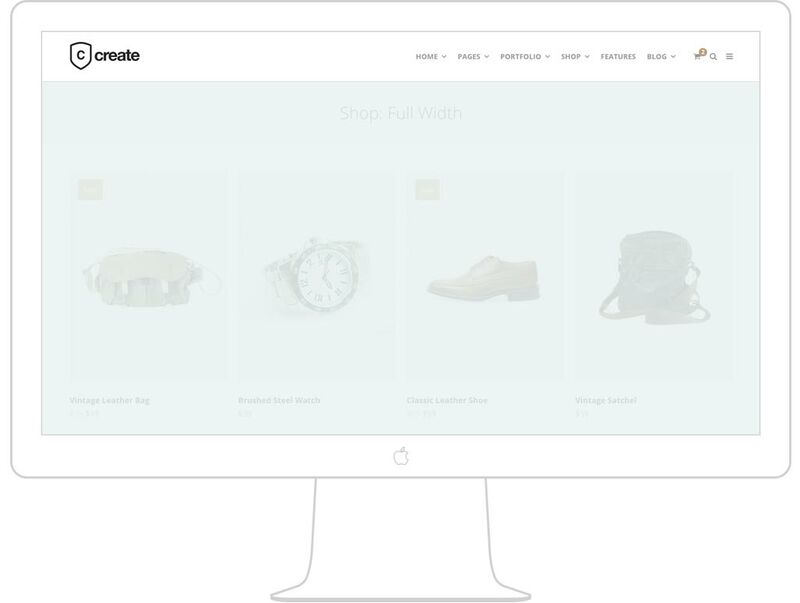 Create has seamless Woocommerce integration built-in for easy online store setup. © 2019 Create All Rights Reserved.